Reusable handmade fabric book cover made entirely of high quality cotton fabrics with hand embroidy. This travel journal cover is machine-sewn and hand stitched. 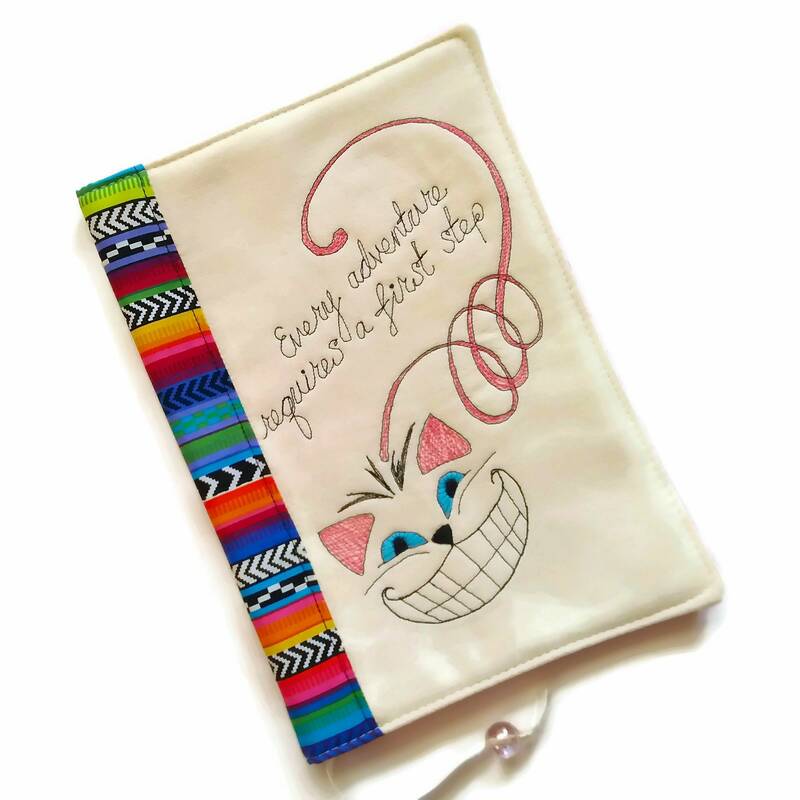 The inscription on it is one my favorite quotes from Alice in Wonderland book: "Every adventure requires a first step". It’s fully lined with a pink cotton fabric.